In the Zeeland, Holland, and Georgetown Christian Reformed Church (CRC) classes there are over 70 CRC congregations; and within this same geographical area of Ottawa County there are also high rates of child sexual abuse, with at least one in 10 children being sexually abused before their 18th birthday*. These rates are consistent throughout the United States and Canada. This information can seem shocking, overwhelming, and defeatist. However, Christians are given clear mandates from Jesus to "let the little children come, and do not hinder them, for the kingdom of God belongs to such as these.” (Mark 10: 14b). It is not difficult to imagine that a child or family experiencing abuse may find it difficult to come. Therefore, the work of CRC Safe Church Ministry and other organizations who work to end sexual abuse, is a deeply holy one. We no longer live in a world in which we can pretend that abuse does not occur among congregations. There must be training and empowerment to call it out, address it, and show the same empathy, compassion and justice seeking that God has given throughout the ages; this includes taking a stand against child sexual abuse. 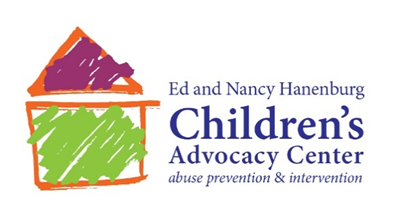 At the Ed and Nancy Hanenburg Children’s Advocacy Center of Ottawa County, though we are not a religious-based entity, we are available to provide support and resources to churches looking to join us in making our community one that is safer and healthier for children and families. As members of one body of Christ, may we each use our God-given power to stop child abuse before it begins. This work is not complicated and does not require advanced degrees. Every single person can gain basic knowledge and simple tools that will help keep the children around them safe. Most importantly, do not let your voice go unheard! Speak to your pastors, youth pastors, teachers, small group leaders, family and friends. Make sure that they understand their own role in this holy work; challenge them to join you for a training or engage this conversation at a policy or procedure level. Make sure that your church is learning about abuse prevention and response, and is using available resources such as Safe Church Ministry and Darkness to Light. The church longs for a day when this world is redeemed, and humanity and the Earth are brought back to creation as it was intended. While waiting for that day, may churches join Jesus’ mission in striving towards redemption, and choose to begin with this work. *Townsend, C., & Rheingold, A.A., (2013). Estimating a child sexual abuse prevalence rate for practitioners: studies. Charleston,S.C., Darkness to Light. Retrieved from www.D2L.org.